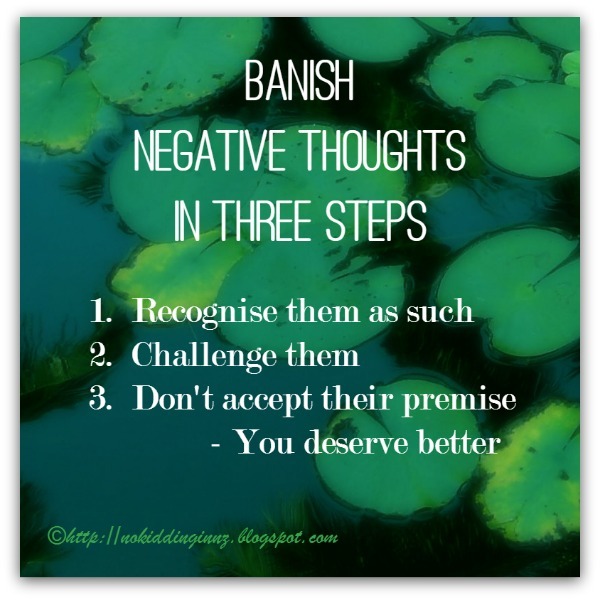 Every time you recognise a negative thought, first, consciously recognise that you're thinking it. Don’t let yourself reject any evidence or arguments that might contradict these negative thoughts. "well, I know that's rubbish"
"Mali or <insert favourite blogger here> says that is rubbish"
"the world doesn't work that way"
"biology doesn't work that way." and they are no more worthy than me." Finally, simply say, "I can't think that way, I am a good person, I deserve better." Because I know you deserve better, even if right now, you don't. Thank you for writing it down! 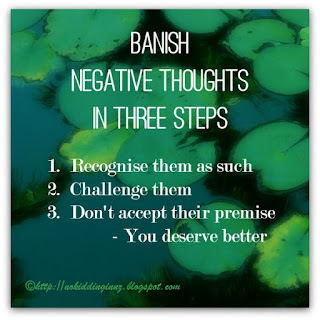 I will visualise this post when the negative thoughts come to my head out of nowhere. Awesome reminder, Mali! I definitely need to keep this in mind. This is good, something really nice to live by. Thank you. I'll definitely try this next time I start spiralling in the late hours. I know it's a valuable thing to do but often lack the will. It's always worth reminding people to make the effort to do this, so it becomes a habit. I love that idea of telling myself (reminding myself) that I deserve better. I need to give myself better and not count on anyone else to do it. Love this reminder. I also love that it involves acknowledging the thought and admitting that this happens and you are not terrible because of it. I feel like tamping down the negative without first recognizing it leads to its own problems. This is such sound advice! Especially the "you deserve better" part. I think sometimes we are meaner to ourselves than we ever would be to someone else. Thank you for the beautiful reminder, to speak kinder words in self talk. Great advice!! I must try to do this...!